In the Asset Tracking or Personnel Tracking modules, if you update the details on a certification that has already been renewed at least once, there is no longer a chance that the system will use the wrong information to calculate its expiry date. Some users who installed Helm CONNECT on Windows computers with a limited amount of free memory found that maintenance checklists wouldn't load their current running hours and would eventually display a timeout error. This update addresses that issue and improves the speed and performance of maintenance checklists. You can now duplicate any reports that have been shared with you, even if the original report was created by a user in a different time zone. Reports based on the Competitor Revenue Comparison data source now show the correct data when the date filters are set. We also added a new Division filter to help you control the data your users can access in Helm CONNECT. If you open a draft billing transaction, you will no longer be prompted to save the transaction if you haven't made any changes. The Transaction Date field is now blank by default. If you leave the Transaction Date field blank, the system won't change any existing transaction dates, and will set any blank transaction dates to the current date. If you enter a date in Transaction Date field, all the transaction dates will be set to the date you enter, regardless of whether any of the individual transactions had an existing transaction date or not. In this update, we fixed an issue where the running from and running to times that came in from a resource using an installation of Helm CONNECT would correctly update the job on shore, but wouldn't be displayed correctly on any associated transaction lines after billing. This problem didn't happen if the times were updated directly by someone on shore. Some users were noticing very slow performance when using Helm CONNECT on an asset installation. Reports based on the Competitor Revenue Comparison data source were displaying archived data. They were also displaying duplicate lines for orders with multiple trips. Helm CONNECT sometimes started multiple instances of an asset installation at the same time. It now runs only one instance at a time, which doesn't affect the number of web browser sessions that can be opened. If Helm CONNECT was reinstalled on an asset, old jobs sometimes reappeared in the asset's To Do list. Helm CONNECT couldn't be reinstalled on the 32-bit version of Windows 7 with high volumes of data. In Helm CONNECT Reports, the Event Logs data source didn't pull any data if custom fields were included in the report. Viewing the template change log overlays sometimes caused slow performance from the server. To safeguard our users, we temporarily disabled the ability to view the change logs on the Inspections, Maintenance, Forms, and Audits tabs in Templates, on the Setup menu. However, Helm CONNECT continues to log all changes made on these tabs. 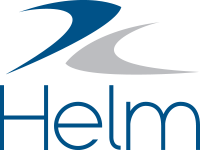 Helm CONNECT was allowing users to link multiple running hours item types to a single component in their maintenance templates, but not allowing them to open or submit any checklists based on those templates. We added a blocker to prevent users from accidentally linking multiple running hours item types to a single component. Sometimes, when a user duplicated an existing maintenance template, the duplicate template would be incorrectly linked to a component from the original template. The People list and the Corrective Action and Task windows weren't displaying correctly in Internet Explorer.